Another round of the Magyar Kupa is behind us and more teams are focusing on the league as only half of the NB1 clubs remain in the competition at this stage. Read on for the latest news of each team as we head into Round 23. Chris and Paul give you their predictions and bring you up to date on what’s unfolding throughout the league. Paul: Chris, we had a total of 20 goals scored in round 22. I’m not sure the last time so many goals scored, but unfortunately nine of those goals came in two matches. Goal of the week goes to Obinna Nwobodo of Újpest . For me it was a very vanilla week. I watched the Hungarian show “Gol!” to catch the highlights of the matches but couldn’t make it through all six matches. Is it time for a break yet? Whoops we just came off winter break and another break won’t come until round 25. Oh well and here’s hoping for a better round 23 at least in my eyes in California! Chris: I have to say it was satisfying watching Lilák’s offense explode against Diósgyőr last week. It’s been a long time coming and it served to cast a shadow on another result that was seemingly overlooked - Fradi’s dismantling of Puskás. Rebrov’s side exhibited their depth as they aggressively set the pace with some dominant football. Both ends of the table are getting interesting. Let’s see what’s in front of us this week. Paul: János Radoki has to be wondering what he has gotten himself into as the manager of Puskás Akadémia. They now find themselves in the relegation battle and with a real change of falling down a division. Will their home field dominance continue? I think not. Debrecen came back to earth with an away loss against Paks. Consistency is a concern with this young squad. Speaking of consistency, they will come up with a good performance here and take the three points home back to Debrecen. Chris: Puskás staged an unlikely comeback at Paks to overturn their first leg deficit in the cup and advanced thanks to a midweek hat trick from Liridon Latifi on Tuesday. Puskás have been dismal in the league, however and, with János Hegedus out of the lineup this week (concussion), we had a peek at how poorly they played without their defensive anchor as they fell apart against Ferencváros. Debrecen lost at Paks last week and followed that with an aggregate win in the cup against Ajka midweek. They suffered another blow with winger Bódi out with an ankle injury, however, and are likely scrambling for a healthy eleven this week. This will be a tough game for the hosts but their momentum from the cup and a return to home comforts should allow them to avoid defeat. Paul: Újpest trounced Diósgyor by five goals and now the question is was this a fluke or sign of things to come? We shall see. I see the squad coming together and making a run to safety secure the third spot in NB1. There is a lot of competition for the starting 11 and with the signing of Lacina Traoré it should be an exciting spring for the club from the fourth district. Will MTK get up for this match? It’s another Budapest derby but at least this time the match will be in Budapest. Not a good sign when your starting forward, Sándor Torghelle, is 36 years old. I like him much better playing in the last 15 minutes of a match. MTK has lost their lost two matches and four of their last five away matches. Chris: Újpest showed what they’re capable of last week in their 5-0 demolition of Diósgyőr. Without the cup to alter their focus they are fresh and ready to keep up their good momentum. The signing of giant forward Lacina Traoré was a bit of a surprise this week. The former Monaco striker turned down a few clubs to join Újpest and get his career on the right track. If he can find form this could be a game-changer for Nebosja Vignjevic’s side. Kire Ristevski’s injury isn’t ideal for Újpest but Bojovic is a natural replacement and will likely fill in nicely without them missing a beat at the back. MTK are also without the distraction of the cup but are coming off consecutive defeats. They had their chances to get something out of the game against Honvéd but were dismal in front of goal including a missed pen. Starting center back Eugene Selin left the game last week with an injury and it’s likely he will miss out this week. Újpest haven’t lost at home all season and have only conceded once since the winter break. They’ll come back down to earth but still have enough to see off MTK. Paul: I must admit I still bear a grudge against Honvéd for their loss against a Luxembourg club in European football. Perhaps, after seeing how well those teams played in Europe maybe I should temper my stance. I do like their new signing, Anis Ben-Haira and with Danilo returning they should keep the three points at home. Haladás are now out of the Hungarian Cup and the question is now what to do? Will their manager, Ferenc Horváth, make it to the end of the season? Even he seems at a loss for what to do? Maybe it’s time to play their young Hungarian players in preparation for the NB2 where foreigners cannot play? Chris: Things went from bad to worse for Haladás after last week’s narrow defeat at Vidi, they crashed out of the cup on an injury time winner for Mezőkövesd and are now truly without anything to play for. Honvéd won last week but their play (other than goalkeeper Dávid Gróf) wouldn’t have inspired anyone. They played to a meek 1-1 draw against lower league Duna Aszfalt in the cup to barely advance to the next round. Danilo is set for a return to the lineup, having played in the cup and scoring the only goal on the night. Haladás are playing for pride here and will sneak a point … because this is NB1. Paul: MOL Vidi once again looked listless in defeating Haladás. They very nearly once again lost points to the league leaders, Ferencváros. Mol Vidi were not tested in their midweek Cup clash and should do just enough to gain the three points in another tough match in what has become Vidi’s modus of operandi. Kisvárda did well to keep their unbeaten streak alive against Mezőkövesd. They have become that team that no one wants to face. They could do anything here and even an upset victory would not surprise me. They have become a very interesting squad in the new year. Chris: Vidi kept the good times rolling with a fourth consecutive win midweek against minnows Taksony in the cup. They were less than impressive against basement dwellers Haladás last week at home with a narrow 1-0 win, however, and certain players still seem to be settling into Nikolic’s system. Even so they are playing attacking football and finding ways to win. Kisvárda remain unbeaten in the league (7 games) and managed a 1-1 draw against Ferencváros in the cup this week despite crashing out on aggregate. Laszlo Dajka’s men have impressed of late and they’ve risen above their initial “ league whipping boy” status. Stavros Tsoukalas has been a revelation and Gheorghe Grozav has brought some quality on the wing making them a formidable offensive threat. Vidi’s defense is good but they have been exposed this spring on occasion. Only Loic Nego was rested in their back line this week and that might cause a problem or two. Paul: Mezőkövesd now find themselves five points above the relegation zone and rather than moving up the table are moving down it. They have not been a strong home club and haven’t won since defeating Mol Vidi at home. This will be an entertaining match and feature some goals and attacking football. Thank you Paks for finally proving an “upset of the week” prediction correct. They took care of business at home against Debrecen. They have not lost in the new year and I see that continuing this week as well. Chris: Mezőkövesd got a late winner in the second leg of the cup this week sending them through in spectacular fashion over Haladás. They will truly miss the presence of Vadnai in both defense and attack, but Lajos Bertus will be motivated to play well against his former club at his new home. Paks are getting back Kulcsar from suspension but will be missing two other defensive stalwarts in János Szabó (injury) and Zsolt Gevay (suspension). They also fell apart in their midweek cup match at home allowing Puskás to come back and overturn a 2-1 first leg deficit. Look for the hosts to exact some revenge from their defeat at Paks in late October. Paul: Ferencváros finally scored some goals in their demolition of Puskás Akadémia. They have not lost at home all season with three ties in eleven matches. Victory here is assured the question is in a low or high scoring match. I’ll side with the over. Diósgyor lost their eight match non-losing streak by allowed an astonishing five goals to Újpest. I’m not sure if they will allow five here but they will come very close. Remember when they defeated Ferencváros at home? Chris: Last week’s 4-0 thrashing of Puskás showed just how dangerous Ferencváros’ assimilation of talent really is. They have skill, depth, and understanding but the fans are still unhappy as they only managed a 1-1 draw midweek against Kisvárda. They’ve won their last two home matches with a combined score of 6-0 and should be able to keep things going this week at home. Has anyone noticed the peculiar absence of Davide Lanzafame? The mercurial target man still leads the club in scoring but doesn’t seem to be among Rebrovs favorites? Diósgyőr manager Fernando admitted his players were playing off past results and had a letdown last week. It remains to be seen if they’ll turn things around this week. They’ve had a whole week off as they didn’t have a cup match this week but I think Fradi are still too strong for them at home. Welcome to Round 22 of the 2018-19 NB1 season. This is the round that complete’s each team playing one home and one away game against every other team. The margins at both ends of the table were reduced last week and there is a full plate of tasty morsels this week so read on and get caught up on what’s happening. Paul: Chris, nice work on correctly picking the final score of the Debrecen/Ferencváros match. A total of 17 goals were scored this week which included a scoreless draw between Kisvárda and Paks. The goal of the season may have been scored by Dániel Zsóri on a spectacular bicycle kick to defeat Ferencváros. Interestingly in Hungary, they call them “scissor kicks.” Nine of the twelve first division clubs played midweek Cup matches, so we will soon know what type of effect, if any, this has on them. On to round 22, we go! Chris: Paul, I pay no attention to what happened last week! Only looking forward! ;) These rounds after a mid-week cup game tend to spring a few surprises and I’m sure the NB1 will be happy to oblige. The recent successes of Kisvárda and Diósgyőr have sent alarm bells going at the bottom of the table as Puskás and even Paks have been drawn into the relegation vortex. Paul: Ferencváros controlled the match against Debrecen but fell apart in the final ten minutes to lose in demoralizing fashion. Fortunately they are back home where they have been very good. They hope to exact some revenge on Puskás who defeated them on a memorable goal scored in miraculous fashion near half field by Janos Hegedus. Puskás are terrible on the road if you take away their surprising defeat of Mol Vidi to start the second half of the season. They are back to earth after that win and manager János Radoki has to be scratching his head after the crazy goal his team conceded to lose to Újpest. Chris: Fradi boss Sergei Rebrov has to be at his wits end after a late collapse in Debrecen as well as a tepid performance in the cup on Wednesday. With Frimpong likely out injured, Rebrov will hope to re-insert Miha Blazic back in the heart of his defense as the Slovenian center back was seen on the bench against Kisvárda. If this collection of talent ever clicks it looks to be unstoppable, but it will have to include scoring more than one goal in a league match - something Ferencváros hasn’t done yet after the winter break. Puskás lost their first leg cup match at home this week and are coming off consecutive league defeats. They have been known to surprise teams this season but that might be too big an ask at Groupama this week. Rebrov’s public criticism of his team’s mentality should spur them on to new heights. Paul: In a continuing theme from last week, Mezőkövesd were lucky to defeat Haladás by a score of 2-1. Outside of forward Stefan Drazic, the squad has not looked very good in recent weeks. With their poor home form and a rejuvenated Kisvárda club entering Mezőkövesd, they will be lucky to earn a draw. Kisvárda played an ugly scoreless draw against Paks but still haven’t lost in a good many matches. Their defense and goalkeeping is solid as they have not allowed a goal in four matches. They should keep their streak alive in not losing but a goal here will leave both sides content with a tie. Chris: I’d like to think that Kisvárda’s dream start to the spring will continue, but they were held to a goalless draw at home last week and will be without their top goal-scorer Zoltán Horváth (suspended) this week. It is notable that Kisvárda ‘keeper Felipe has yet to concede in the league for four straight game but you can count on that changing this week. Teams aren’t approaching László Dajka’s side with the same bravado as before and now that the relegation zone is creeping closer for more teams are going to have to adjust. Mezőkövesd are a team that can win big with attacker like Gábor Molnar and Stefan Drazic in the squad. Both were essentially rested in the cup this week and should be raring to go. First home win should be on the cards for them. Paul: MOL Vidi stepped back into the title chase by defeating MTK and gaining a valuable three points to climb within six points of league leaders Ferencváros. They were unspectacular in their midweek cup match in a one goal win against third division Taksony. They should win here and earn another three points keeping their championship hopes alive. Haladás were unfortunate not to at least earn a draw in their last match. They are still alive in the Hungarian Cup which is something for them to play for as relegation is all but a foregone conclusion. They have not won in their last seven matches with their last win surprisingly against Ferencváros. Another loss is inevitable but they will make a respectable showing. Chris: It was only a matter of time before Marko Nikolic’s team righted the ship. After two defeats to start the spring season they shifted through the gears quickly against MTK and finished their chances in a solid win away from home. They return home with the hopes of winning their first competitive game there since beating Ferencváros in December. Ferenc Horváth looks out of idea and out of passion. His reserved and muted approach oozes out during games. Unfortunately for his side they face an awakened tiger this week. Paul: Újpest were fortunate to defeat Puskás on a fluke goal but sometimes it’s better to be lucky than good. In the most intriguing match of the week, I see a gritty match where goals are few and yellow cards plenty. Diósgyor made it eight matches in a row without a loss. What a turn around for a squad that looked like a certain relegation club. Now who knows? They have won their last two away matches but should be content with a draw here. Chris: This could be the match of the round. Újpest are coming off a lucky win without their top scorer Soma Novothny last week. They didn’t have a mid-week cup match and have Novothny back up front. It might be too much to hope for Lilák supporters that Soma took the time off to rethink his mentality. As the top defensive team in the league Újpest look to stop one of the hottest teams in Diósgyőr who keep being overlooked by “better” teams. However, Nebojsa Vignjevic is too sly to let Fernando get one past him at home and I think Újpest have enough to end Diósgyőr’s run. Paul: It was very difficult to watch Paks’ scoreless draw against Kisvárda, even if you were a fan of either side. In their inconsistent form, I am guessing the home side will rise up to defeat a Debrecen side that may still be rejoicing against their win against the league leaders. Debrecen played 82 minutes before scoring two late goals to knock off Ferencváros. Consistency has been a big problem for this club and I see them falling back to earth this week against a Paks club that has not lost in the new year. Chris: Debrecen blew their wad with a fantastic late win over Ferencváros last week, coupled with another late winner in their mid-week cup match against Ajka. Mounting suspensions and injuries as well as the longest trip to freezing Paks won’t be in their favor this week either. Erik Kusynir and Bence Pavkovics are both suspended (yellow card accumulation) and will leave a big hole in András Herczeg’s back line. Paks are undefeated this spring and are coming off a 2-1 away win against Puskás in the cup on Wednesday. Paks haven’t been great this season but they can hang with a buoyed (but hampered) Debrecen. MTK were finished quite early in the first half by giving up three early goals at home against Mol Vidi. This is the lone Budapest derby of the week though it won’t be played in Budapest but in a city outside of Győr. Strange choice of location and I wonder how many fans will show up? Chris: On the very week that Honvéd’s historic former home is being torn down, they will break free from their current landlords and play them at a neutral site in the hinterlands of Hungary. Kispest will be sweating on Danilo’s fitness after he was removed from last week’s game with an injury. That’s not good news for a team that has struggled to score for most of the season. MTK have been back and forth all season. They’ve conceded far too many goals in recent weeks and Feczko will have them drilled into submission this week. Low scoring draw looks on the cards. The spring season has greeted us with some surprising results in the past two weeks and now that the Hungarian transfer window is closed we can expect the teams to settle into to their squad adjustments. Kisvárda and Diósgyőr are playing like their NB1 lives are at stake (and they are), while Debrecen and Vidi have seemingly gotten off on the wrong foot. There are six more tantalizing contests this week in the Hungarian top flight. Paul and Chris are here again to lead you through each match with the hope of making sense of the nonsensical, unpredictable puzzle that is the NB1. Chris: I don’t think I’ve predicted more than one correct result since we got back this spring which means I’ll be going full-on rogue this week as well (to some degree). There were some interesting developments and signings around the league this week. I’ll take a look at how some of those will affect certain teams as we head into Round 21. Paul: Debrecen lost convincingly away to a suddenly dangerous Kisvárda club. At home, they should be more motivated playing to a large crowd. Debrecen always seem to get up for their matches against Ferencváros and this should be no different. Ferencváros lost the chance to gain a full three points in their lead against Mol Vidi. Their goal scoring has not been too impressive since their return from the winter break either. They will have another tough match here and will be fortunate to leave Debrecen with a point. Chris: Debrecen need to bounce back after last week’s feeble performance. The return of starting goalkeeper Sándor Nagy will be a boost to a Loki side who conceded more than two goals in a league game for the first time since August. András Herczeg’s squad continues to thin out as midfielder Balazs Benyei joins the growing ranks of injured players. Ferencváros suffered a let-down at the end of the derby last week as their mish-mash of new talent are still adjusting under pressure situations. The positives for Rebrov’s side is that David Lanzafame and captain Leandro only played bit-part roles from the bench last week so they should be more than rested for this one. Debrecen haven’t lost to Fradi at home in their last five head-to-head contests, and they’ll be gunning for the front-runners at home after a disappointing reverse. I’m looking for a response here. Paul: Diósgyor have not lost in their five matches and despite lacking talent they make it up with heart and tenacity. No one could have seen their upset away victory last week against Mol Vidi. In another going against the grain pick, the home side will find a way to earn another valuable three points. Honvéd were gifted two goals to earn a home win against Puskás. Perhaps their new signing in ex-Hertha Berlin player, Enisz Ben-Hatir will add some spice to the bland club. For now, I see an uninspired club. In a week of upsets, here we go again with an improbable win for the home side. Chris: Honvéd won for the first time since November and it was hardly in scintillating fashion. Their first goal was off a defensive error and their second came on a set piece to give them an early lead against Puskás who subsequently dominated the rest of the game and were unfortunate not to have grabbed a share of the spoils in Budapest. Honvéd haven’t scored in their last three league games away from home. 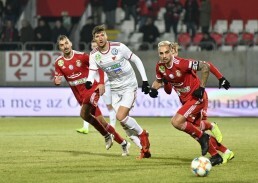 Diósgyőr made the NB1 stand up and notice with a “smash and grab” victory in Székesfehérvár. Fernando’s men stood up against massive pressure throughout the game and left Sóstói Stadion with all the points, putting another dent in Vidi’s title aspirations. Diósgyőr fought back from behind down early and credit is due to their manager who has remained composed during a tense season. He now looks like he is reaping the rewards for his patient style and direction. Look for DVTK to keep up their unbeaten run against a team that have yet to prove they can score on a consistent basis. Paul: Which Hungarian club has the best record in the last five matches? If you guessed Kisvárda you are surprisingly correct. Something has happened to this team and they are suddenly a very dangerous club. They have won their last three home matches but making it four in a row will be very, very difficult. Paks looked terrible against Haladás and failed to earn three home points. In their odd fashion, look for Paks to come up with a big performance and upset the home in form club. This should be the most exciting match of the week. Chris: Kisvárda’s recent good form started before the winter break and has continued in the spring with the addition of some key players. Hugo Seco, Gheorghe Grozav, and Stavros Tsoukalas have really bolstered Laszlo Dajka’s side as they’ve come in and provided some quality performances so far. Add to this the inspirational form of goalkeeper Felipe and Kisvárda look like a team that could break into mid-table within a couple of weeks. Forward Zoltán Horváth has also scored in each of the last two games and leads Kisvárda with six league goals. Paks were just one of a few teams that collapsed after giving up an early lead last week. They conceded late against lowly Haladás to finish 1-1. Leading scorer Janos Hahn hasn’t found the back of the net since October. These are the games you’d expect Paks to win but Dajka and Co. are on fire and it would be foolish to count them out at home, right? Paul: Puskás has been a very good home club during the 2018 season. Their defense looked almost comical in giving up two ridiculous goals in their match versus Honvéd. I see a tough match this week and a rare home loss against Újpest. Újpest somehow found a way to earn a hard fought point at home against Ferencváros, For no rhyme or reason, I predict somewhat of an upset in this match despite the strong home form of Puskás. The Lilak will come out with an inspired, well-played match. Chris: Despite losing last week, Puskás had the lion’s share of possession against Honvéd and should have done better than they ultimately did. They swarmed Kispest in the second half even after going a man down with twenty minutes left in the contest. Újpest’s defense has been best in the league all season (15 goals conceded in 20 games), and they put their back line on display once more last week against Fradi. Scoring continues to be a problem for Lilák. They did little to put Ferencváros under pressure at home and their late equalizer came more from poor communication from their visitors rather than any finely crafted attacking nous. Vignjevic’s side have lost just once in the league since October but they’ve only won once as well. They’re the king of draws and it won’t be a surprise when they play to another here. Paul: Haladás are still playing hard and giving it effort. I believe this will continue until the very last match. They are still signing new players in the hope of somehow magically staying up in the first division. Mezőkövesd made a great signing in getting Amadou Moutari from league-leaders Ferencváros. I have always liked his play. He may improve the club in a few weeks after he gets his bearings within the squad. In the meantime, Mezőkövesd has not won in their last five matches and with this match, make that six! Chris: Everything points to Mezőkövesd losing this game. They haven’t defeated Haladás away from home - ever. They are nursing their pride after a home collapse against MTK last week and they are floundering in a dismal run of form - the likes they haven’t experienced all season. But I think they will win and win big. Haladás are returning home after some late joy in Paks last week, but they’ve been marred with accusations and training ground bust-ups over the last few days. Peter Halmosi has been suspended from training and won’t play this week due to an alleged incident with Funsho Bambgoye. With leading scorer Tamás Priskin out for an extended absence, Ferenc Horváth brought in a late signing as Bulgarian international forward Galin Ivanov has been signed to give Hali some options up front. Paul: MTK showed some life and inspired play in their away win at Mezőkövesd, They still don’t have me convinced that they can be a consistent upper level club. I do like the fact that they are playing quite a few youngsters from their Academy. These young players are not looking half bad so far. Can Mol Vidi lose their first three matches of 2019? Where is the club that looked so good last season? They squandered so many chances in their match last week against Diósgyor. They must step forward this week, or the championship can be awarded to this early to Ferencváros. Chris: Is it possible we’ve been wrong all along about Vidi this season? Did they get into the UEFA group stages through blind luck and easy draws? Are they about to fritter away any last bits of title hope with a third consecutive defeat? Not on your life. This is a team who managed to compete in two campaigns with a skeleton crew of a squad for most of the fall. Even without the additions of Marko Futács and Ákos Elek they should have kept the pressure on Fradi but despite playing some good football they’re not finding the target. It has to be all or nothing here for the champions. MTK were inspired by captain Jozsef Kanta and Patrik Vass’ late goals last week, and they can feel confident after beating Vidi 3-0 earlier this season in Felcsút, but my money is on Vidi to turn things around in the capital. “Well, that didn’t go as planned.” The first week back from the winter break was everything we should expect in Hungarian football - uncertainty. Vidi’s crushing home defeat against Puskás was the highlight (or lowlight) of round 19 in which only one home team got a victory and several teams introduced their new signings in a topsy-turvy, but entertaining match day. Read on for a full preview of this week’s action around the NB1. Chris: The stars are aligning for this one folks. A perfect storm is upon us. Újpest are unbeaten at home except for the first game of the season - a string of eight games at Szusza Ferenc without defeat. They have also failed to score at home only twice this season and have scored two goals in three of their past four in front of their home support. Lilák found themselves in a number of good positions last week against Debrecen but were denied by an equally good Tomas Kosicky in the Loki goal. Chris: I agree with you about Honvéd, Paul. This is a team that seems to have lost their idenity. With the departure of Lanzafame and Eppel in the summer and now clearing house with Botond Barath, Tomas Pilik, and Patrik Hidi all exiting the club - Kispest seem worse off right now than when the winter break started. There’s also rumors of goalkeeper Dávid Gróf leaving the club before the end of the this transfer window. One interesting signing will be Zakaria Beglashvili who is an experienced goal-scorer on loan from FC Flora. The 28 year-old Georgian scored 30 goals and 24 assists in 36 games in the free-scoring Estonian Premier Liga last season. This could be a stop-gap fix to their scoring woes if he can offer any semblance of spark up front. However, the loss of three solid defensive players will be their downfall. Puskás' merry-go-round of players and managers has been an entertaining show this season. They have had successes and are a formidable foe at home, to be fair, but away from home they’ve been all sorts of awful. Vidi will want to avenge their mid-September defeat at the hands of Puskás when they were still tenants at Pancho Arena and Marco Scepovic missed a late penalty. Revenge should be sweet for Vidi in this one. Kisvárda were the laughing stock of the league in the early weeks of the season but they’ve somehow managed to right the ship and cling to the precipice of safety near the bottom of the league. Lázsló Dajka led his side to a three-match unbeaten run at the end of the fall season. Interestingly enough, that run mirrored their first run of form - a four match unbeaten run against the same teams (Puskás, Diósgyőr, MTK, and Haladás). I think they’re good enough for a point here. The winds of winter have heralded the snow that is soon to fall across the frozen Danube and Tisza rivers. Foolish worshippers of the beautiful game will layer themselves against the elements; wrapped in their tribal colors with a song at the ready to lift the hearts of their club’s representatives one last time before the end of the year. Join with Paul and Chris as they dissect this week’s slate of slot games in the Hungarian NB1 with a preview of each match and their predictions of each result. It’s Round 18 - the last game of the year for each club before they shut it all down. Grab your favorite beverage and enjoy. Paul: Chris, the last round of the year is coming at the right time with the cold Hungarian winter. The scores have fallen along with the temperature. Surprisingly, round 17 had 17 goals which is not bad. Can we predict 18 goals for round 18? In all seriousness, I enjoy writing this article with you and it sure makes it different watching the matches as I often cheer for my predictions rather than specific teams. I wish everyone Happy Holidays and see you in 2019! Chris: Same Paul. It’s been another great year of throwing wayward darts at the target with you but I’m happy to do it! It should be a very competitive match day as teams won’t want to be “under the line” for two months. A lot of this will come down to mindset. Players (or teams) who are already on holiday (mentally) will create chaos this week. I’ll get the popcorn. Paul: It has been some time since I’ve chosen an “upset of the week.” So this is it!. Kisvárda has shown some life the last two weeks and they will end the year on a positive note against an MTK team that can be very good or very bad, hardly playing in between. MTK looked impressive in defeating a poor Haladás squad at home. The squad will overlook Kisvárda and think a half hearted effort will be enough for a victory. They will find themselves down early by two goals and by the time they starting really playing, it will be too late. Chris: Kisvárda will be missing one of their in-form players in right back Pavlo Lukyanchuk who was controversially sent off last week against Diósgyőr. They’ve put together a couple of solid results recently and actually defeated MTK earlier this season in Budapest. Goalkeeper Felipe put on a show last week with some massive saves in a 1-1 draw in Miskolc and they’ll be fired up at home this week. MTK stepped up big last week despite a couple of late scratches to their lineup. They made mincemeat of directionless Haladás putting four past them without the services of veterans Jozsef Kanta and Ádám Pinter. With a full squad at his disposal, I’m backing Tamás Feczkó’s team to do just enough to get the points in Kisvárda. Paul: Paks came close to defeating Puskás last week but playing with ten men is difficult and it eventually was too much to overcome. This week finds them at home against Diósgyor. Despite the away team’s strong recent form, look for Paks to end the season with a strong home win. Diósgyor has not lost in their last four matches and the cold weather seems to be working well for them. With some good winter signings, they can stay up in the first division. They will end the year with a loss but good things may happen for them in 2019. Chris: Just as Paks are getting Zsolt Haraszti back, they’ll be without suspended Tamás Báló this week. The influential left back was sent off after playing just 17 minutes last week in Felcsút. Paks haven’t won in their last three home games but this could be the game that changes that trend for them. Diósgyőr will miss the ever-present Richard Vernes (2 goals, 2 assists, 17 games) who is suspended due to yellow card accumulation. Fernando Fernández has his team playing much better in the last month or so but this will be a tough outing for them. Paks will be smarting after letting points slip by so late last week and they’ll be encouraged playing at home in cold, snowy conditions - the best atmosphere for typical Paks win at Fehérvári úti. Paul: Puskás had their five week home win streak broken with a tie and that led to the firing of their manager, Miklós Benczés. With that in mind, I think the squad will be a little disorganized in this match so I don’t see them winning against a tough Mezőkövesd squad. Could the winter find ex-manager, Attila Pintér, back at the helm? Mezőkövesd are playing Puskás at the right time and I would choose an away win if not for the recent strong home form of Puskás. A win is possible but in the cold and away a draw is the safe pick in this match. Chris: Puskás surprisingly sacked manager Miklós Benczés on Saturday and have temporarily handed the reins over to Club Director András Komjáti. Their run of home victories was stopped last week at five but they still managed a dramatic late equalizer against ten-man Paks. Mezőkövesd will be without influential winger Tamás Cseri (2 goals, 3 assists, 17 games) as he sits out for yellow card accumulation. Attila Kuttor’s players staged a late comeback against Ferencváros last week but fell just short - their first defeat in their last seven competitive matches. Mezőkövesd beat Puskás 2-0 at home in early September and will be looking to capitalize on the current unrest in Felcsút and should be happy with a point. Paul: Haladás were thumped by MTK by four goals last week so the end of the year can’t come soon enough. Hopefully Santa Claus will find some new players for the squad who can inject some live and keep the club in the first division. With improved home form, the a draw is possible here. Debrecen has won their last two matches, including a win at Budapest versus MTK. It is very tempting to make the easy choice which is a Debrecen win but something tells me the home teams will come out strong while the away team maybe a little flat and underperforming. Chris: Haladás have to be pretty low after last week’s thrashing at MTK. They return home where they’re unbeaten in their last two but they’ll be without two key figures in defender Márk Jagodics and leading scorer Tamás Priskin who are both out due to yellow card accumulation. Manager Ferenc Horváth has looked increasingly frustrated with this team and another defeat could see him give up this reclamation project over the winter break. Debrecen make the longest trek of the round but have to be boosted by clean sheet wins in their last two games against quality sides. They’ll be without injured captain Dániel Toszér once again but they should be able handle this one without too much trouble. Paul: Another Budapest derby to end the year. 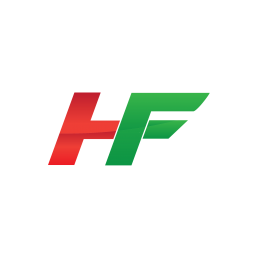 Honvéd have lost their last two matches and hope to end the year strong. They have fallen to the third spot now in the standings. This will be a fun match and anything can happen making this one of the toughest matches to prognosticate this week. Chris: Honvéd were limping along with three key players out last week, but Botond Barath and Tonci Kukoc’s returns from suspension should make them less susceptible on defense. Leading scorer Danilo’s absence also hurt. For a team that’s struggled to score all season they’ll be in trouble once again if he misses out. Újpest are coming off a confidence-boosting win over high-flying Vidi last week. They were able take advantage at home against a tired team who barely put up a fight. With no suspensions or apparent injuries, Nebojsa Vignjevic has a full squad to call upon and if they can get an early goal they should be home free. It’ll be a close one here but I’m leaning toward a narrow Lilák win. Paul: What a fitting way to end the year in Hungarian football! Mol Vidi exited European football with a well played match against Chelsea. Without the pressure of European football, now is the time for them to make up ground in the league. They should find a way to end the year in front of their home fans. Ferencváros are up by eight points entering this match and could find themselves up by an overwhelming eleven points with a victory. They have been up and down in recent times away from home. This should be an exciting match and a fitting end to 2018. 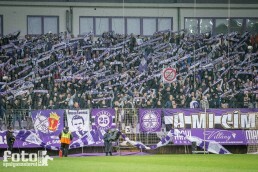 Chris: Vidi have had an exhausting fall season and it showed last week in a 2-0 defeat to Újpest. They created precious few chances last round and are coming off a draining 2-2 draw against Chelsea this week. They’ve won both games in their new home without conceding a goal but their opponents this week aren’t just a run-of-the-mill NB1 side. Ferencváros will be without injured starting winger Stefan Spirovski again as well veteran forward Daniel Böde who was suspended by the team this week. Böde launched a verbal tirade against the bench after being subbed out last week and manager Sergei Rebrov has instructed him to take an early start to his winter break. All this being said, Fradi are in great form and their squad depth should be able to help them increase their lead at the top heading into the break.